What should I expect during a drug test collection? When you walk into one of our collection facilities, our trained and certified collectors follow strict protocol procedures to ensure that all donors receive a consistent, high-quality experience. Collectors are trained to follow a standardized process at every location to help control the integrity of the specimens, the drug testing process and drug test results. Sometimes these rigorous protocols may take individuals or employers by surprise. As a result, the U.S. Department of Transportation (DOT) published 10 helpful steps for collection site security and integrity. 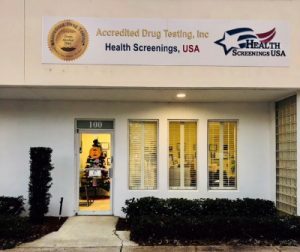 It is important that all parties involved have a basic understanding of what to expect during a drug test collection and what is considered reasonable expectations of what will take place to complete a successful drug test collection. 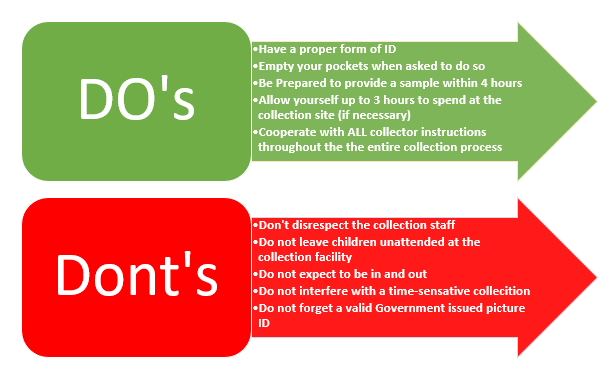 Listed below are DOT’s top 10 Collection Site Security & Integrity steps of what individuals and employers should expect during a typical collection process. It is important for employers/individuals to have a basic understanding/walk through of the proper collection steps throughout the specimen collection process to ensure successful completion of the specimen collection and drug testing process. Ensure that the water in the toilet and tank (if applicable) has bluing (coloring) agent in it. Tape or otherwise secure shut any movable toilet tank top or put bluing in the tank. These 10 steps apply to all urine drug test collections handled by a collection site and are readily available for employees, employers and collectors. Next: Which Drug Test Should I Order?